It’s been a while since I’ve thrown a party and I am thinking that I may get one together this year for 4th of July. I love the red, white and blue themes and any chance to drink adult beverages with friends sounds like a good idea to me. I’ve been cruising through my Red, White and Blue Pinterest board for 4th of July party ideas and I think I found some! 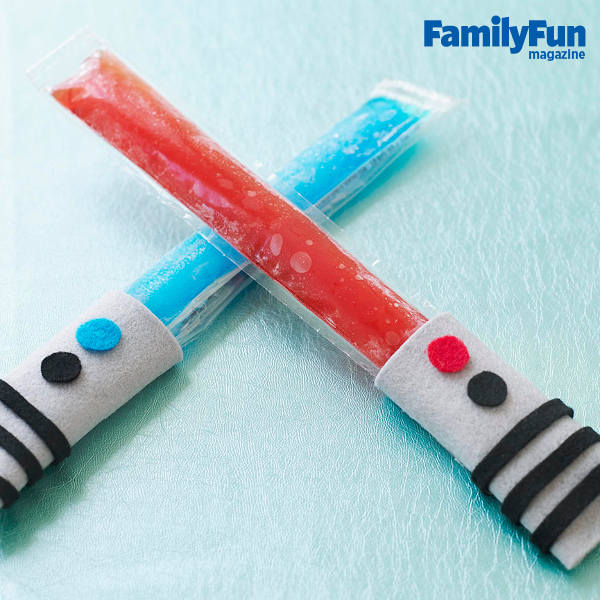 I also came across these awesomely cute ideas in my inbox this morning from Family Fun. Layered with white chocolate and studded with sprinkles and M&M’s, our pretzel treats add flare to any party spread. Cover a baking sheet with waxed paper. Melt 1 cup of white chocolate chips in a medium, heat-safe bowl according to the package directions. Use a spoon to drizzle 1pretzel rod at a time with chocolate (you’ll have enough chocolate to make a dozen), then lay the rod on the prepared sheet and scatter it with red and blue sprinkles and M&M’s. Chill the pretzels in the refrigerator until the chocolate sets, about 15 minutes. 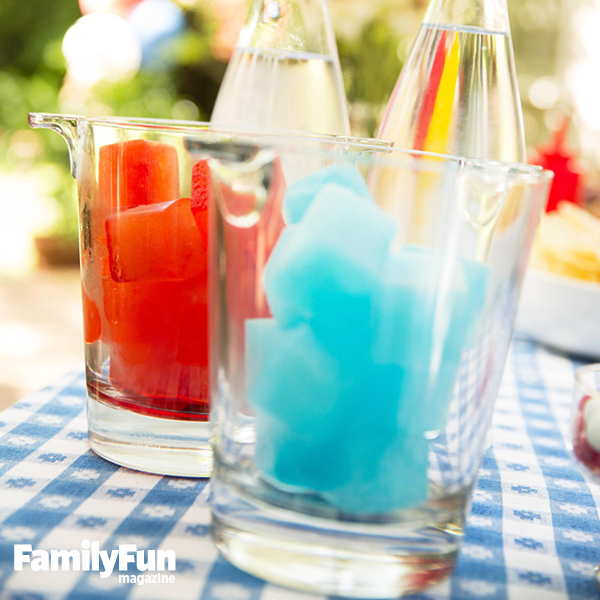 Tricolored spritzers offer a refreshing way to celebrate the Fourth. Make several trays of ice cubes with beverages colored red, white, and blue (we used cranberry juice, water, and Powerade Mountain Berry Blast). To serve, place the cubes in separate buckets and let guests make their own drinks with plain seltzer. What about you? 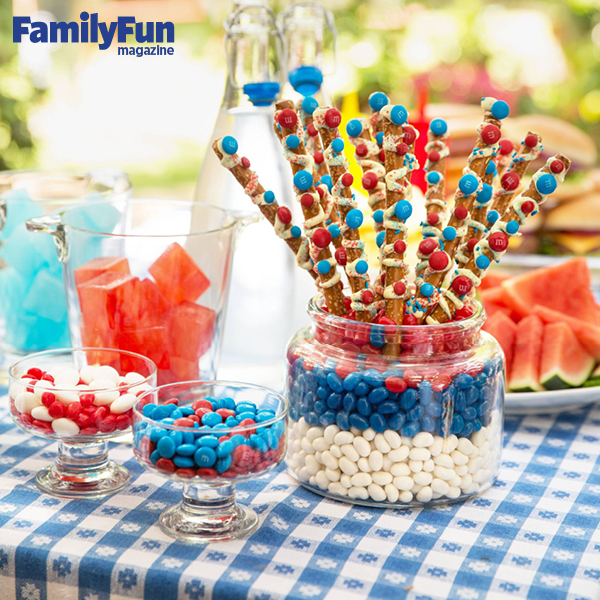 Do you have some great 4th of July party ideas? 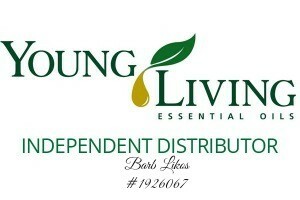 Please leave me a link to your post and I will pin it to my Pinterest Board!